McAuliffe Chiropractic Office always appreciates feedback from our valued patients. To date, we’re thrilled to have collected 8 reviews with an average rating of 4.88 out of 5 stars. Please read what others are saying about McAuliffe Chiropractic Office below, and as always, we would love to collect your feedback. Very friendly. Excellent service. Very knowledgeable. Will definitely be returning and recommending. First time going to chiropratic and found it was a nice experience and my stiff neck problem has improved and more flexible now. Like the tracker bed would love to lay there longer ...;) Terry and his team were great and a friendly atmosphere. The practice is very nice and everyone I interacted with were knowledgeable and very nice. The Doctors and staff were very detailed and thorough. Friendly atmosphere. Everything was thoroughly explained. I have gone to other chiropractors before and to be honest, they didn't help me very much. Needless to say, I was really surprised by the methods, practices, and enormous caring that is given by all the team here. In a word, they are simply "amazing" and I would recommend them to anyone as a first choice. Come in a skeptic and you'll quickly become a believer. I've never met a team as good as this one. They care and they get results! Awesome sauce. Very friendly. I love it. Even tho it was my first visit. Made me feel like ive been coming for years. My back feels 10x better already. Just from exam of my back. Thank you. Thank Jesus for the McAuliffe family.My back was killing me. I will refer all my friends and family. 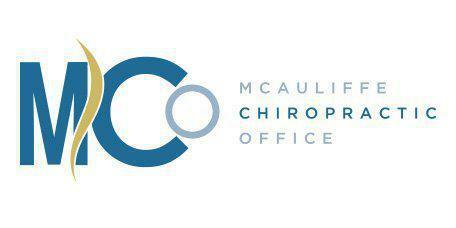 McAuliffe Chiropractic has always been with me over the years. From when Dr Terence started until present day they have listened to my bodies changing needs. It is their whole body approach that has helped guide me with adjustments and vitamin supplements as I have traveled down this wonderful path we call life!! !